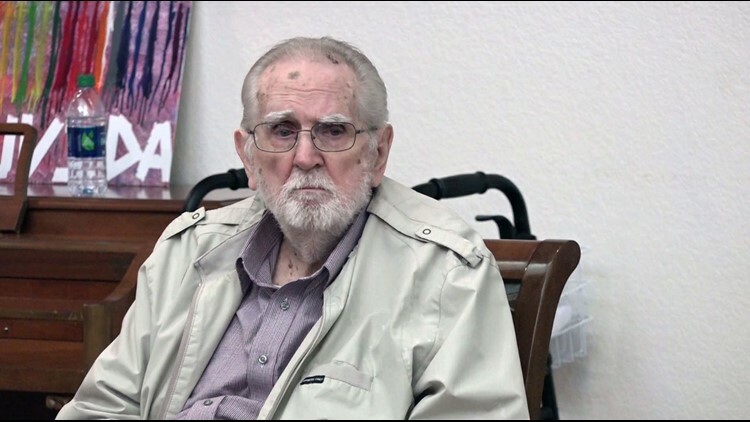 A former pastor is losing his memory, but he is still able to get up and preach at Luvida Memory Care in Belton. 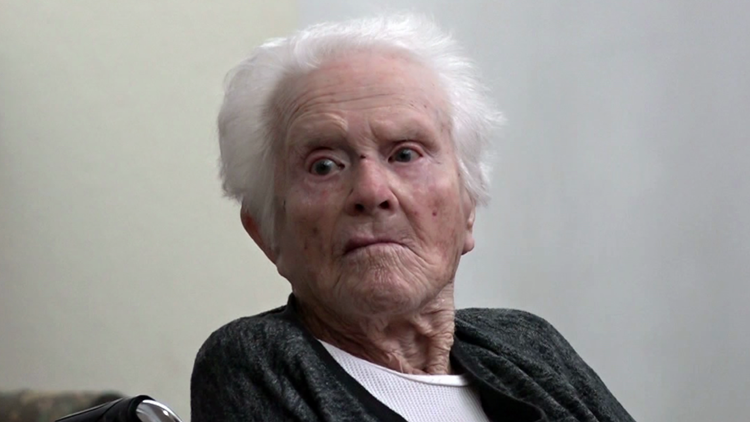 A woman whose memory is rapidly fading finds her strength through singing. 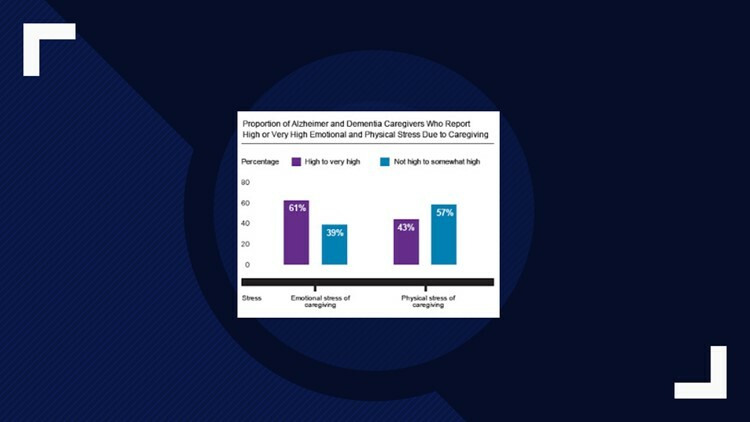 The latest numbers from the Alzheimer’s Association show that 5.7 million Americans suffer from Alzheimer’s disease. It’s a baffling, often frustrating condition, and can be incredibly hard to cope with for caregivers and those who suffer from the disease. 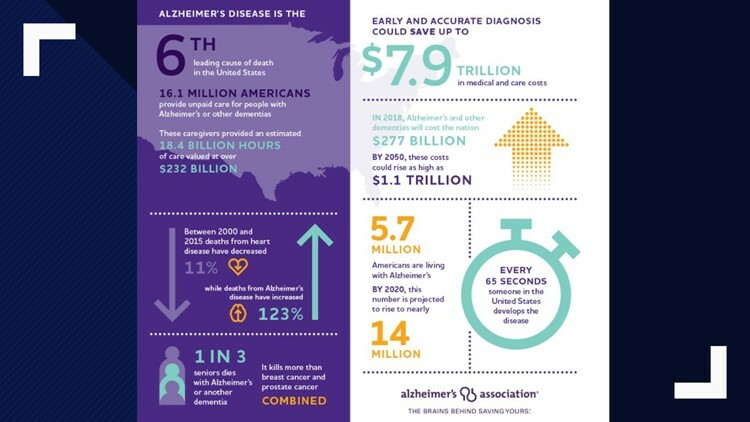 Every 68 seconds someone is diagnosed with Alzheimer's disease. At Luvida Memory Care, there are good days and bad. More often than not Alzheimer's, and dementia robs these residents of more of their memories by the day. These stories are about the moments even the most powerful of diseases can never touch. VIDEO: What is Alsheimer Disease? For Aleeta Kenan, music is life’s calling. “She’s been singing for as long as I remember,” her daughter Shirley Mingst said. These days, however, the words are a little harder to come by. “There’s some memory problems, trying to remember words, and songs that were special to her,” Mingst said. As always with Alzheimer's and dementia, there are good days, and bad. With most of her memory gone, you’d think her singing days were behind her. Some things are too much a part of us, to ever be gone for good. On a Saturday morning before bible study, the woman who sometimes struggles to piece a sentence together, sung 'Amazing Grace' word for word. "You see people sing their favorite hymns, or be able to sit down to a piano and just start playing a favorite song with what would appear to be no memory at all." Dr. Alan Stevens, the director of the center for applied health research at Baylor Scott and White said. "It's because those memories are so well stored." "It's pretty full-blown," Chris said. His dad’s days as a pastor and a missionary are behind him now. Alzheimer’s has taken most of his memories. On Saturday morning’s, during bible study, the pastor who forgets more than he remembers gets up to preach the word of God as clear as day. "Even in the midst of Alzheimer's, and all that it does for you, he still has that deep love for God's word," Chris said. So much about the disease remains unknown, but what doctors do know is that our most powerful memories are a part of us that even Alzheimer's has a hard time taking. "Memories that are attached to emotional memory, or to very significant events in your life tend to be coded or stored in a way in which they are easier to recall," said Dr. Alan Stevens, director at the center for applied health research at Baylor Scott & White. "That means as someone with dementia has less and less cognitive abilities, memories that are stored more solidly or with a lot of emotion attached to them, means that our ability to recall those memories are definitely stronger." For a couple minutes on a Saturday, Pastor Jim speaks the word of God coherently and powerfully. It’s a lesson in faith that his son said he needs now more than ever. "It's the faith that we learned from him, that is sustaining us now as we go through this," Green said. That's because even when memories begin to fade and thoughts are harder to come by, there are some things that time nor disease can ever touch. If you would like to know more about the disease, Dr. Alan Stevens will be hosting "Walk with a Doc" at 9:00 a.m. this Saturday at Miller Park in Temple. For more information or to participate in the 2019 Walk to End Alzheimer's in Bell County click here. Alzheimer's is a type of dementia that causes problems with memory, thinking and behavior. Symptoms usually develop slowly and get worse over time, according to the Alzheimer's Association. To join Chris Rogers and Heidi Alagha's Walk to End Alzheimer's team, follow this link.